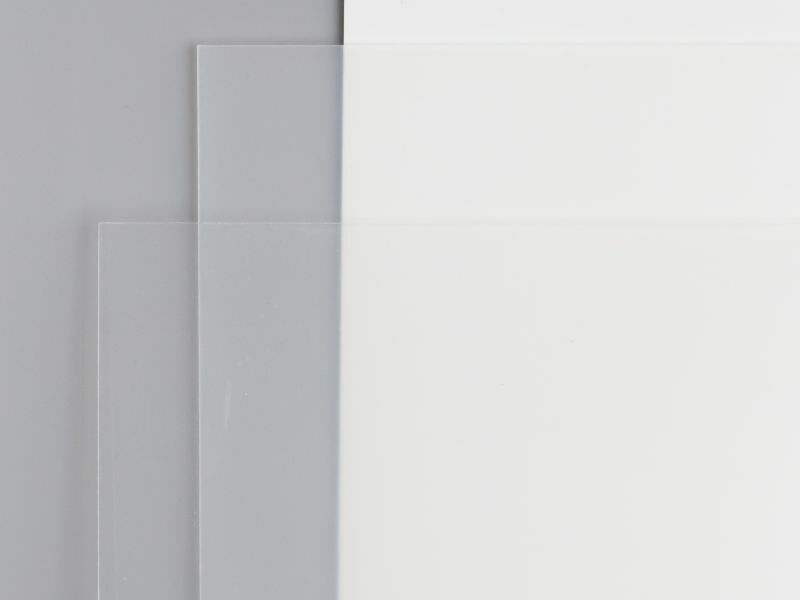 We stock a wide array of Perspex sheet, in numerous colours and thicknesses, and offer a ‘cut to size’ service to fulfil your requirements. 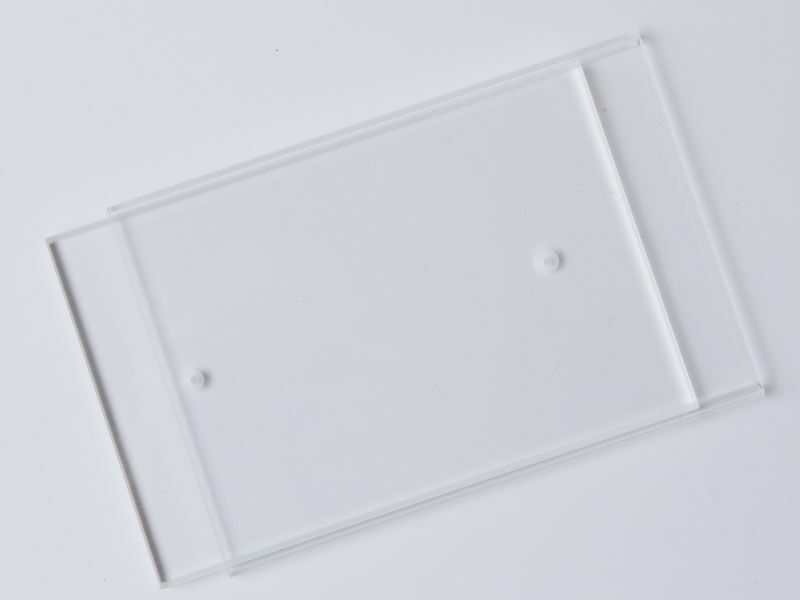 These can also be supplied with polished edges or pre-drilled as needed. 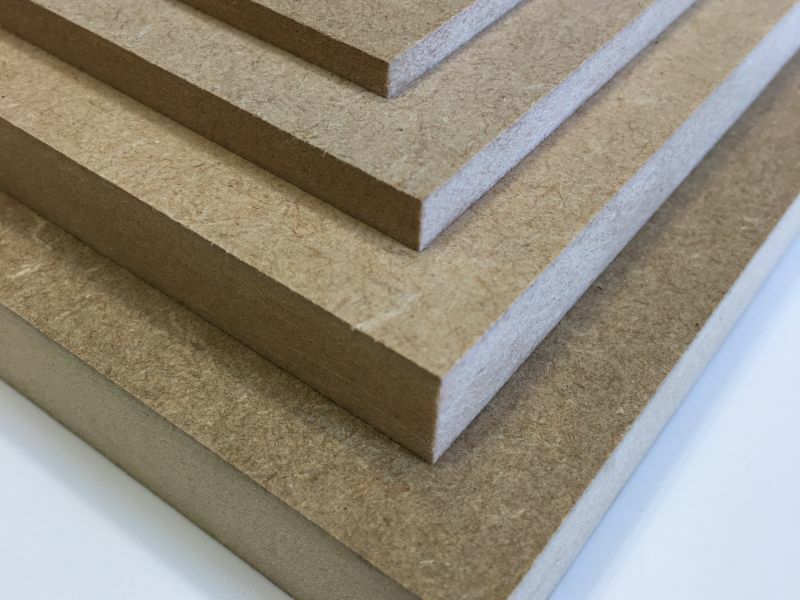 Please refer to our Products page for further details on available materials and specifications. 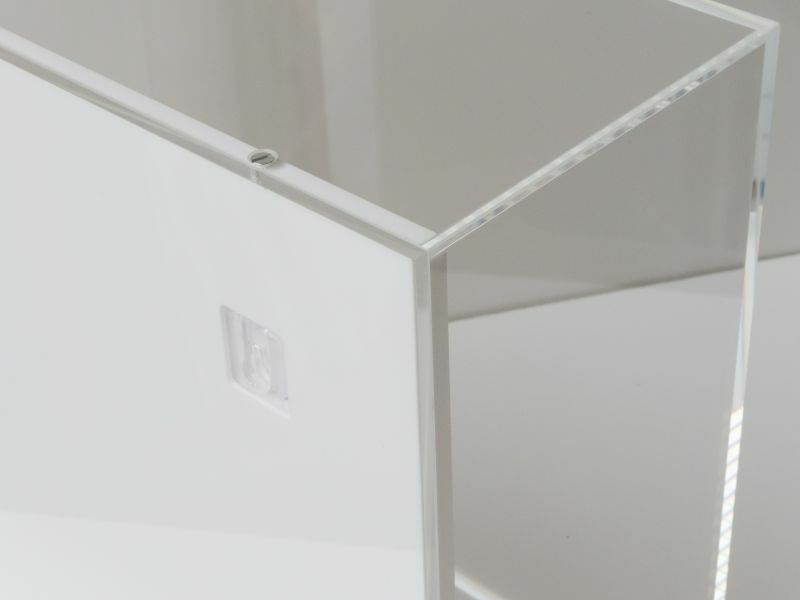 Our experienced craftsmen specialise in custom made projects to your requirements. 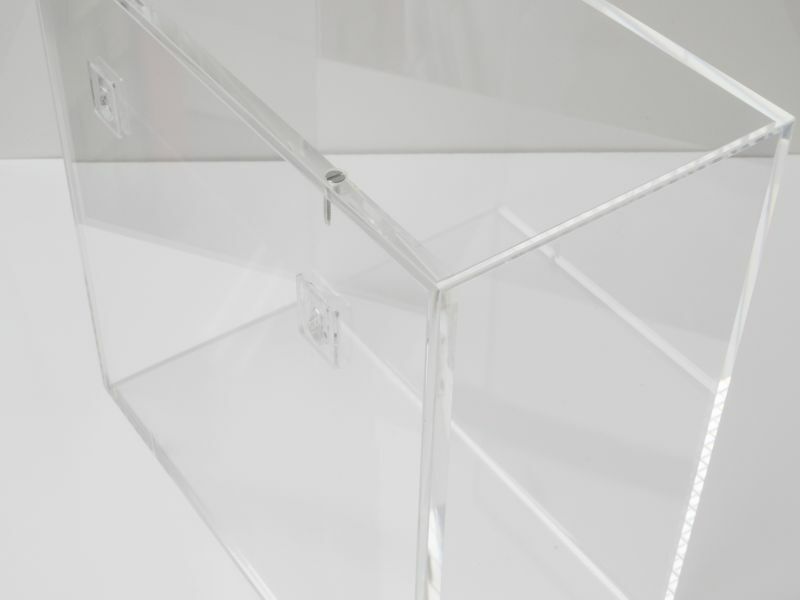 Whether a single piece, or multiple units on a larger scale, no project is an issue for our skilled fabrication team. 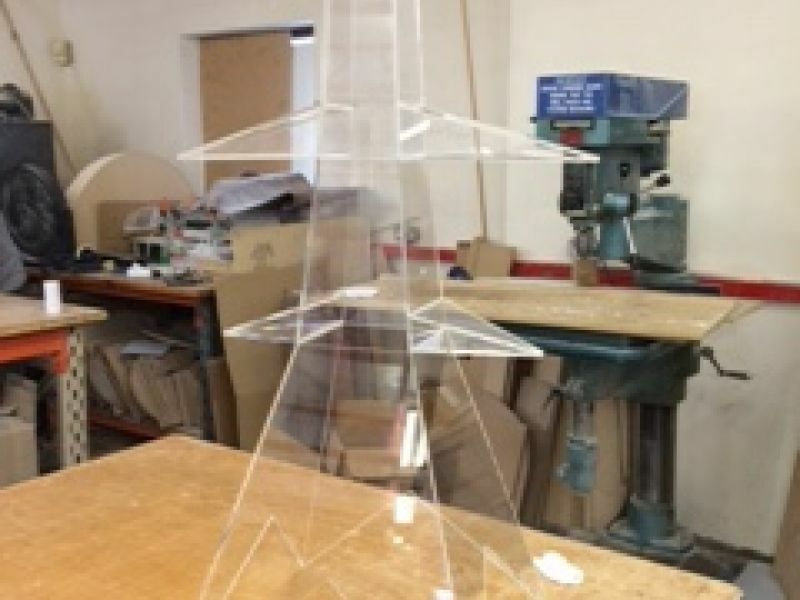 Our bespoke business is at the core of our company, working in partnership with our clients to create both simple or ambitious pieces to the highest standards. 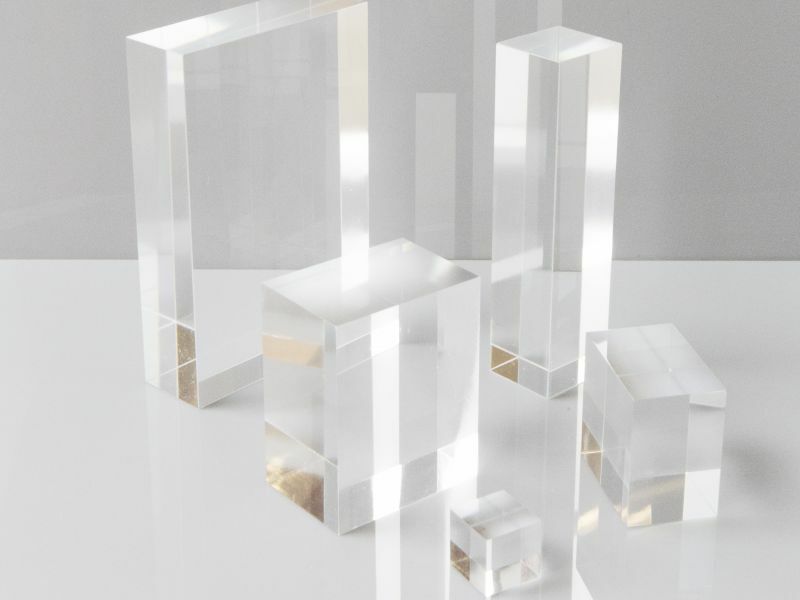 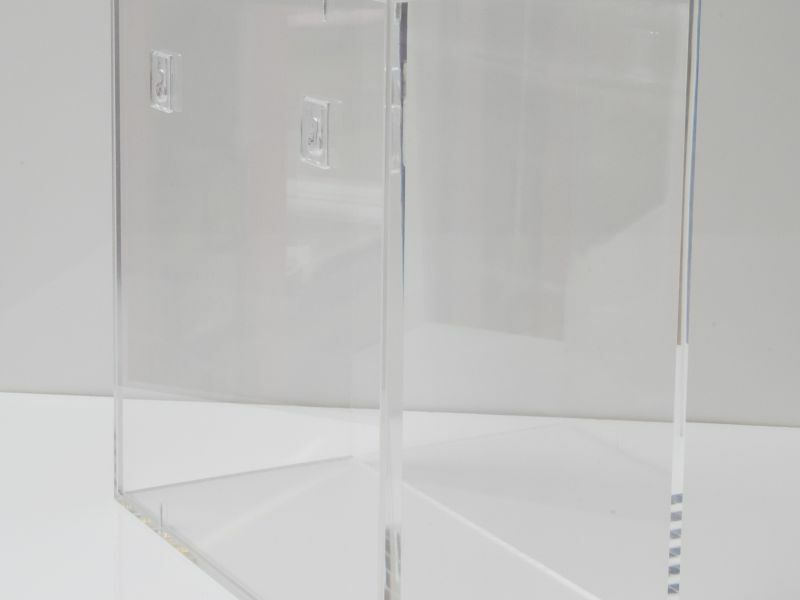 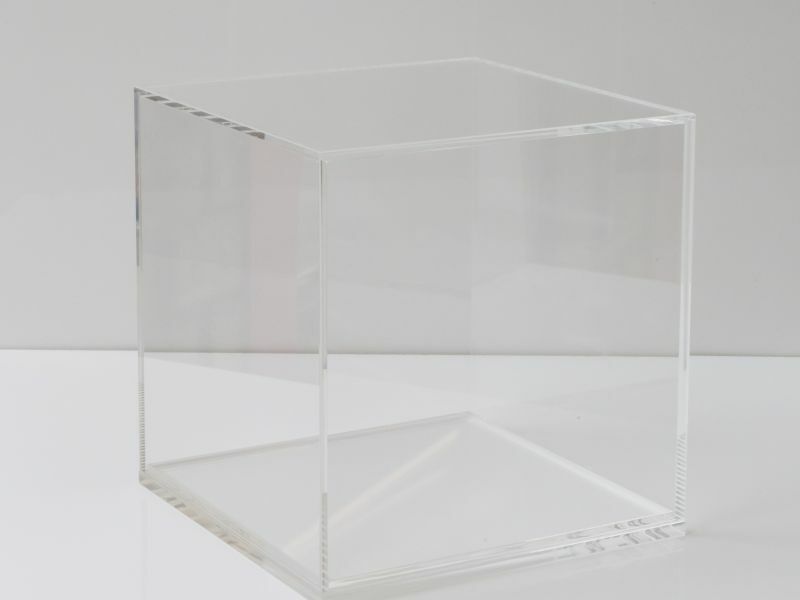 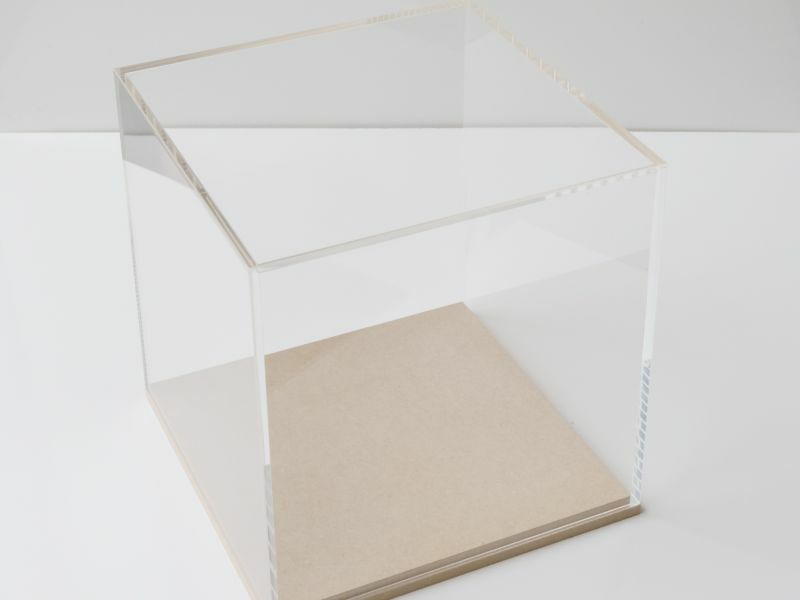 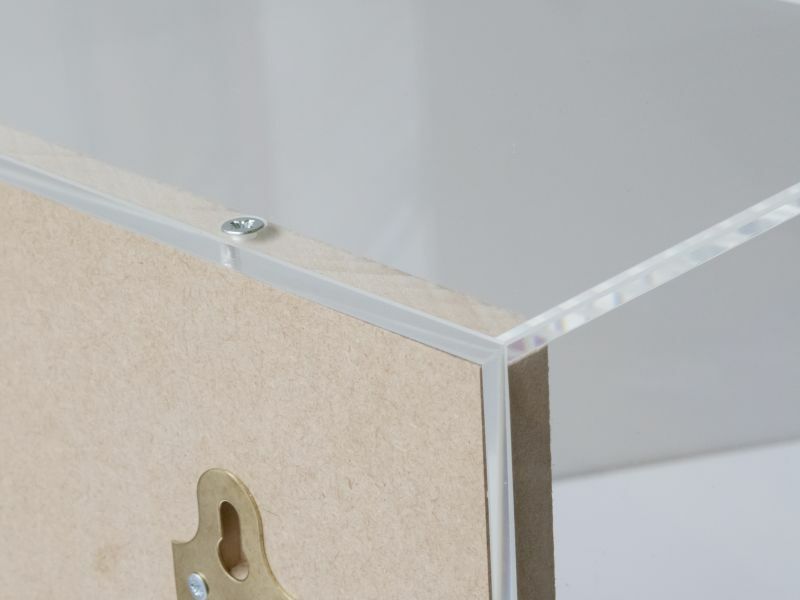 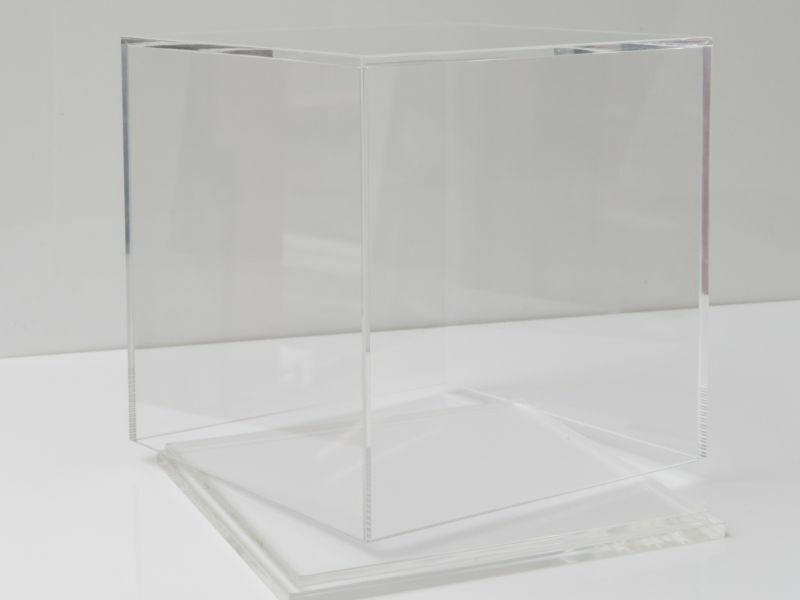 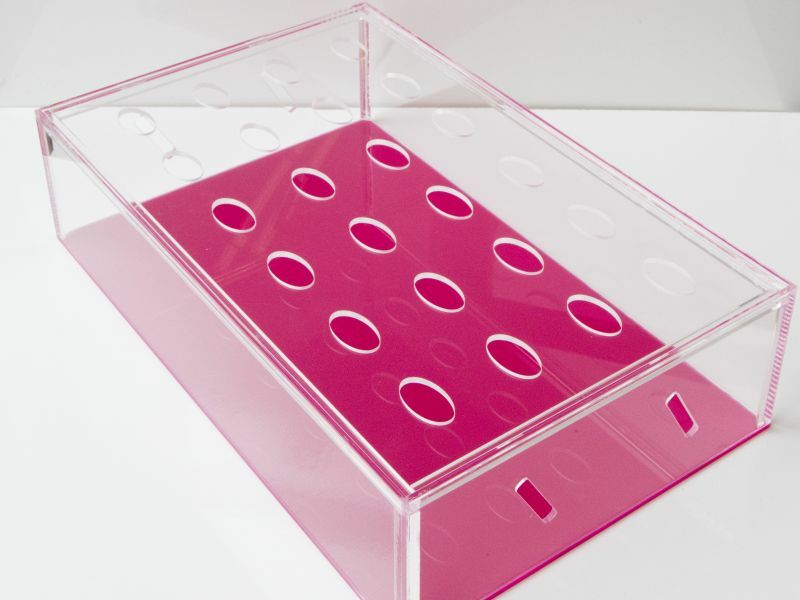 When absolute clarity is required for display or exhibition purposes, our clients call on us to deliver Perspex cases and frames with our high quality, bubble free, ‘invisible’ joins. 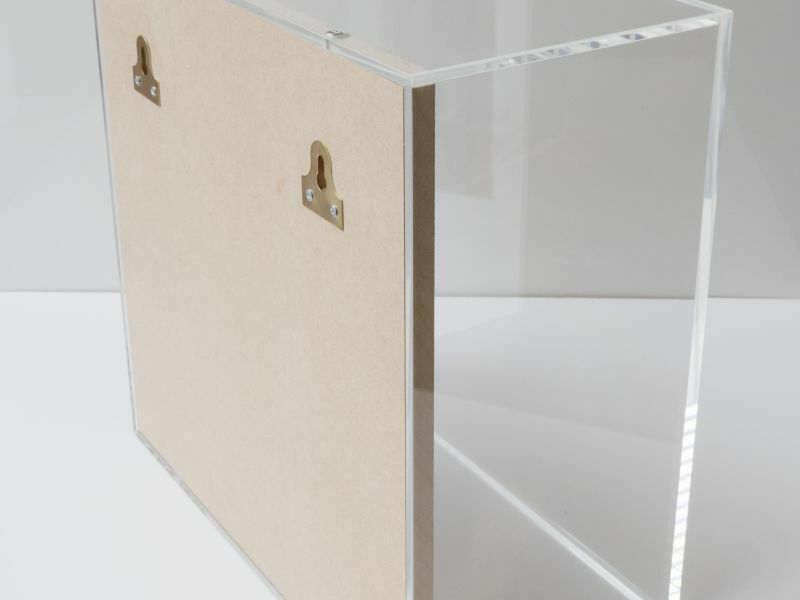 Created with the latest in ultraviolet bonding technology, we can supply cases and frames that not only protect the intended contents, yet still allow an unimpeded and natural view when on display. 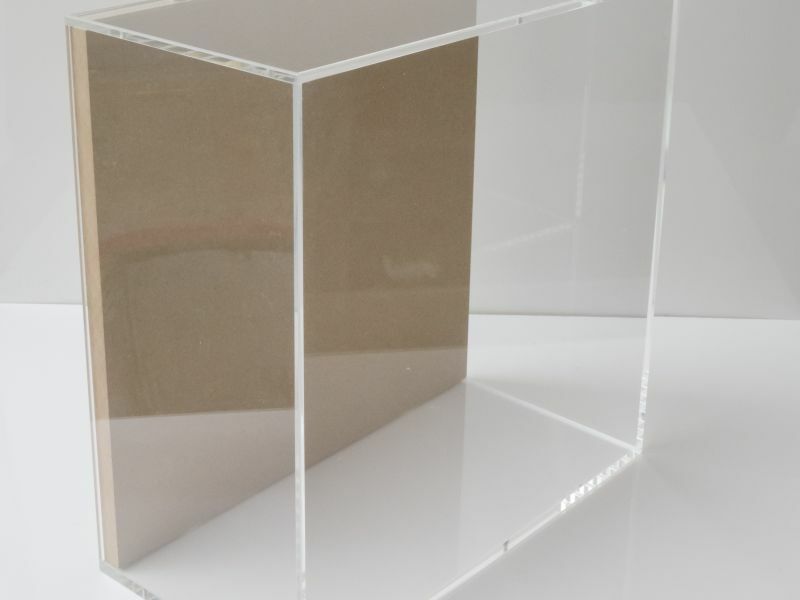 Such is our skill with this process, if you’ve visited a London gallery within the last decade, there’s an excellent chance you’ve viewed an exhibit inside one of our boxes! 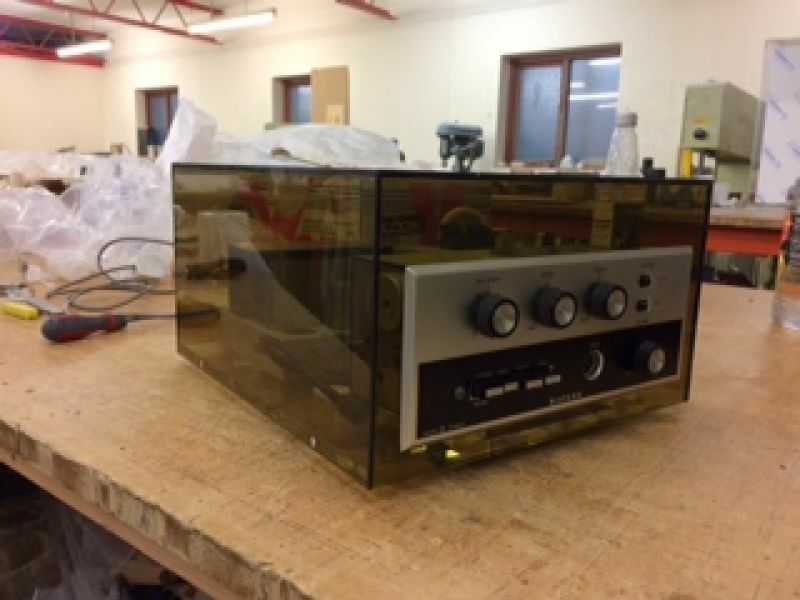 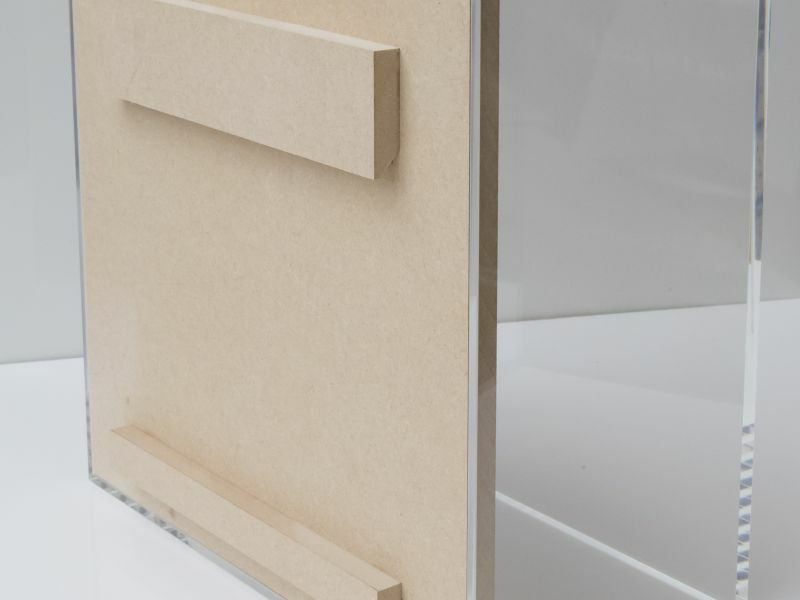 For more sturdy or watertight units, we can utilise other processes to strengthen the bonds in line with the needs of the project, and bases/backs can be added in Perspex or MDF. 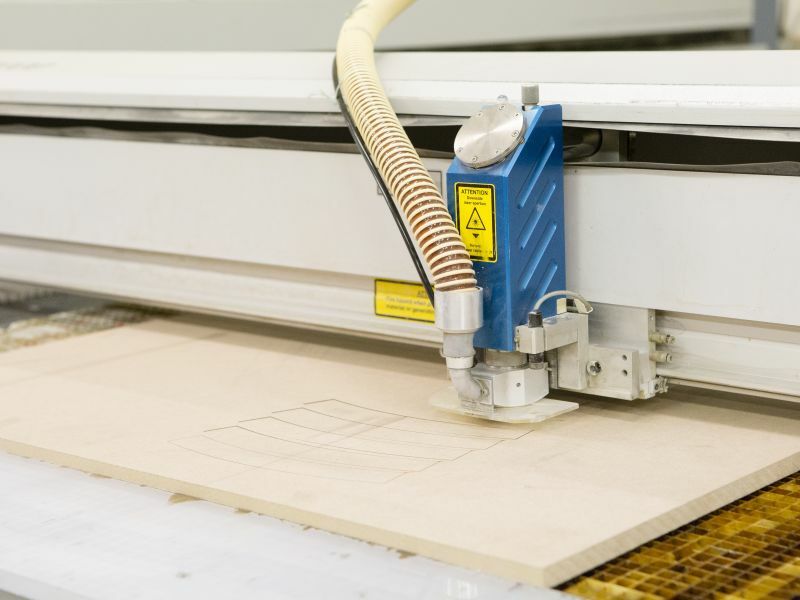 Our state of the art laser cutting machine is the largest in London, with a 3m laser bed, enabling us to take on projects where volume and/or intricacy are required. 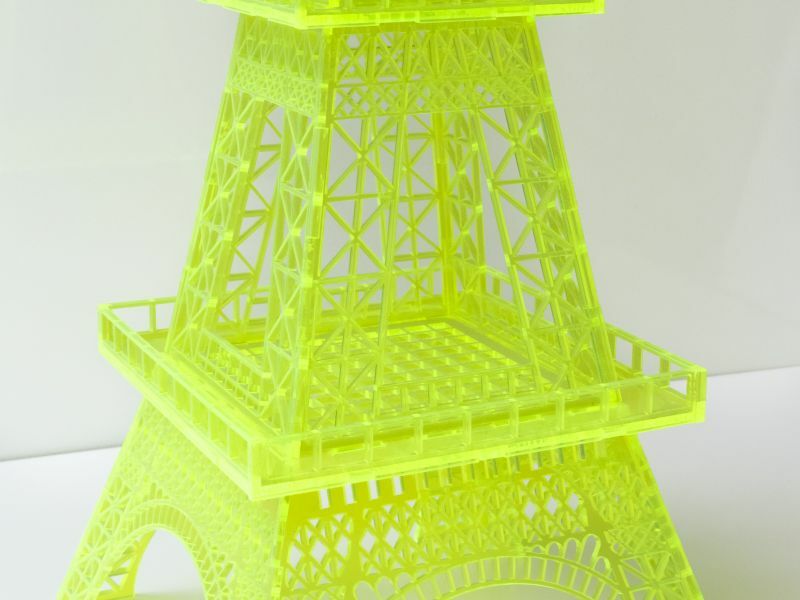 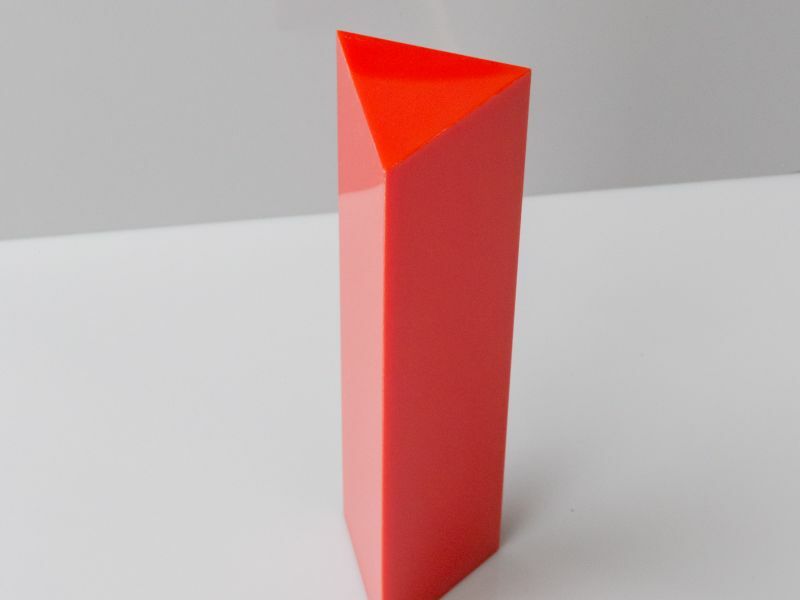 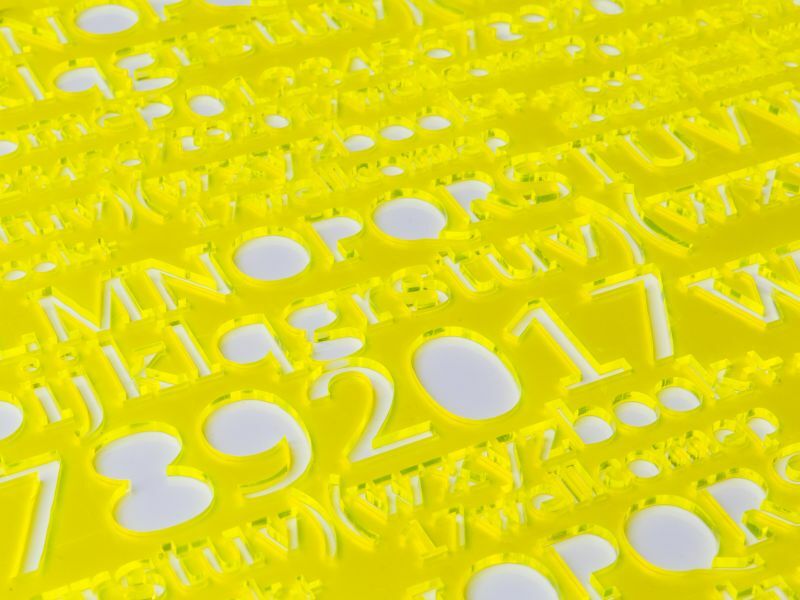 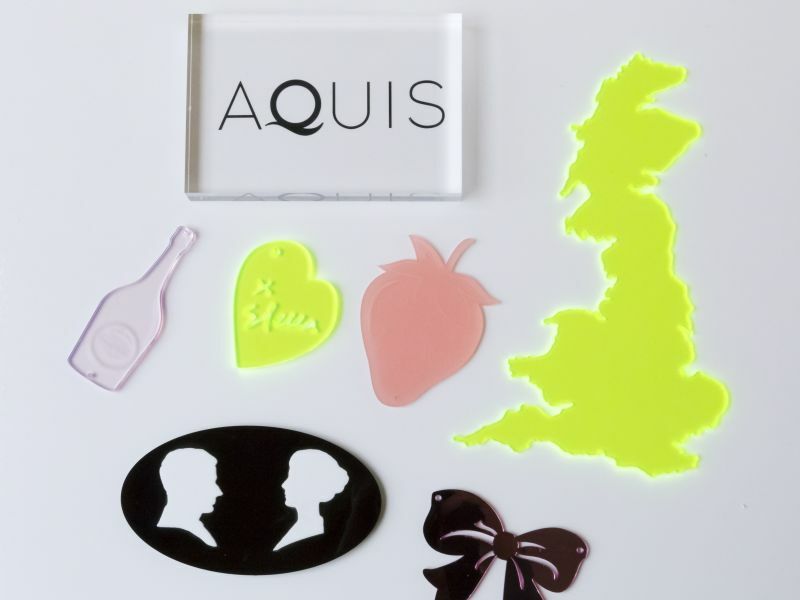 The powerful laser can cut to thicknesses of up to 25mm Perspex at high speed, utilising various PC based formats including Adobe Illustrator and AutoCAD DXF and DWG files. 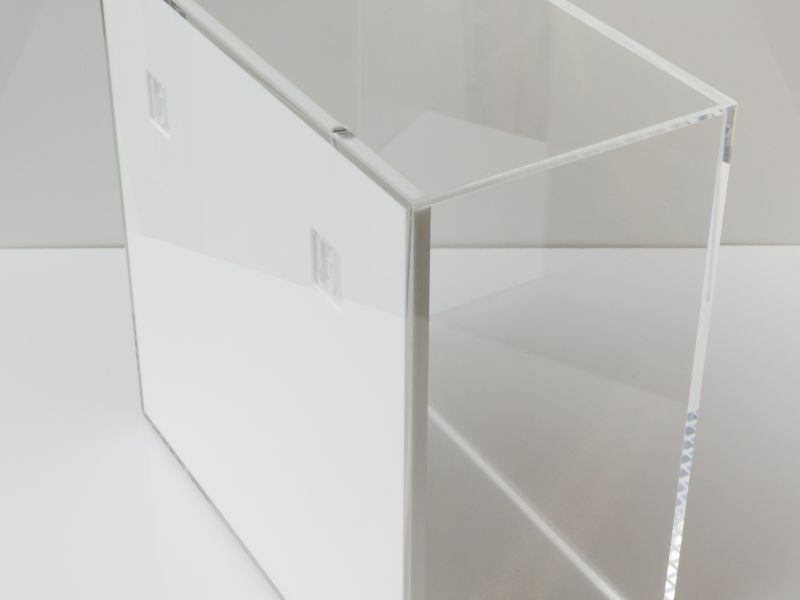 For customers requiring a professional finish to their Perspex sheets, we have the option of diamond polishing. 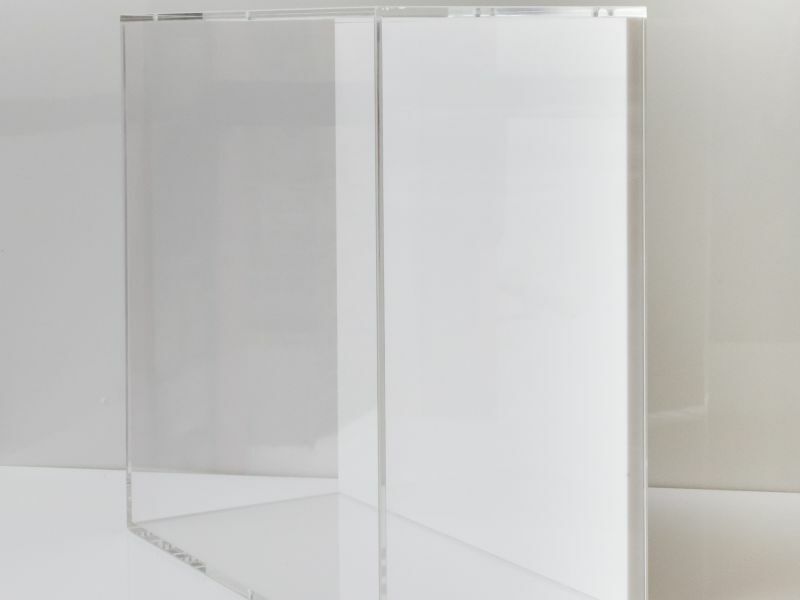 This renders all edges of the Perspex sheet a glasslike finish, which highlights the natural translucence and beauty of the product, allowing it to be used for standalone or display purposes. 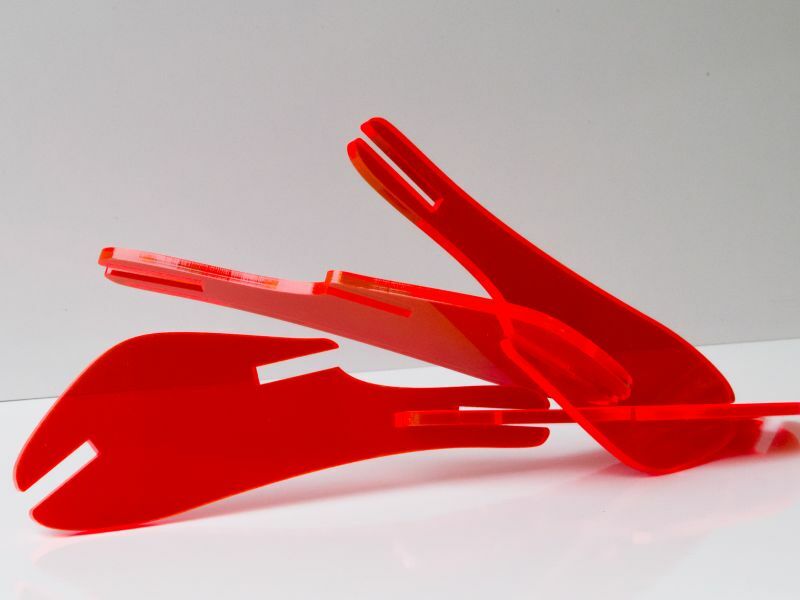 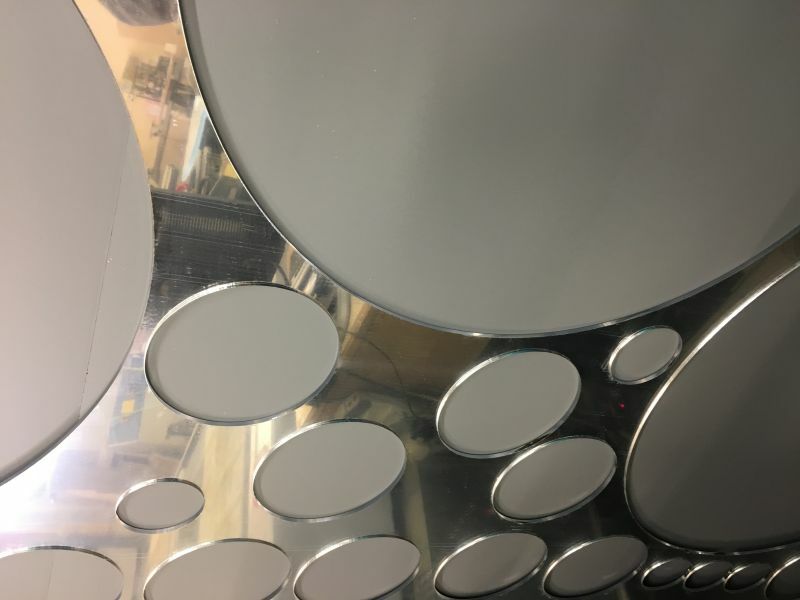 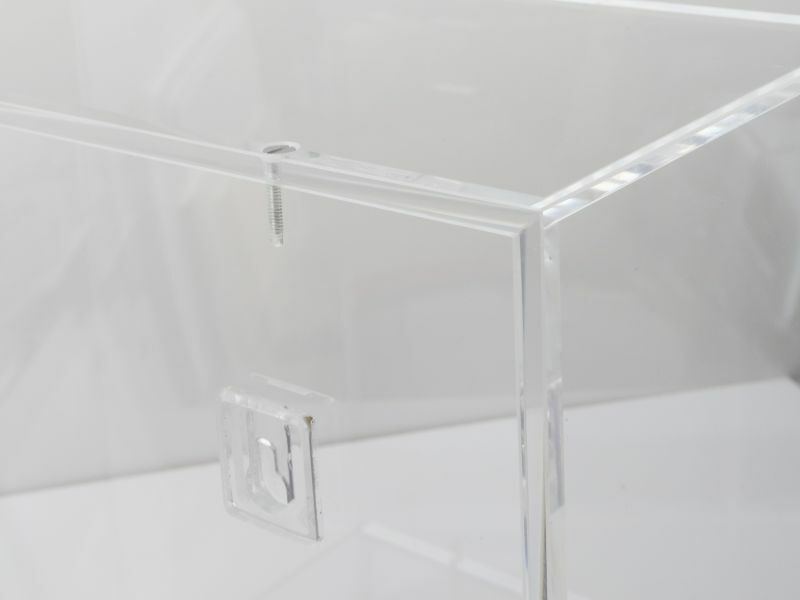 Our stock includes numerous thicknesses in clear Perspex, but for customers requiring over 5mm in a coloured material, we can offer a lamination service. 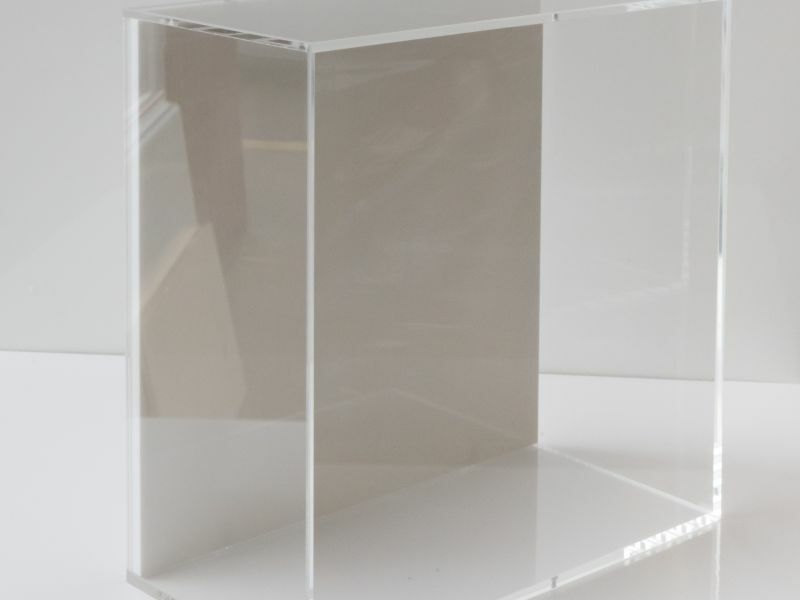 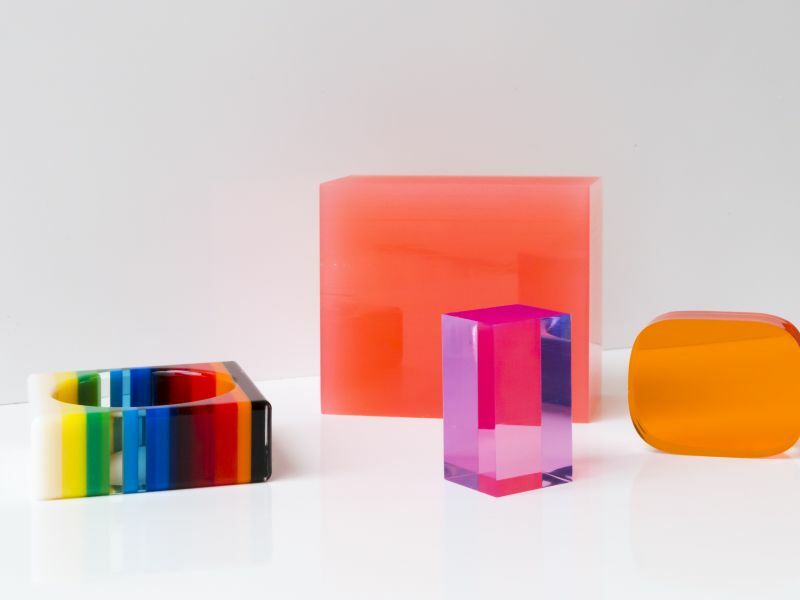 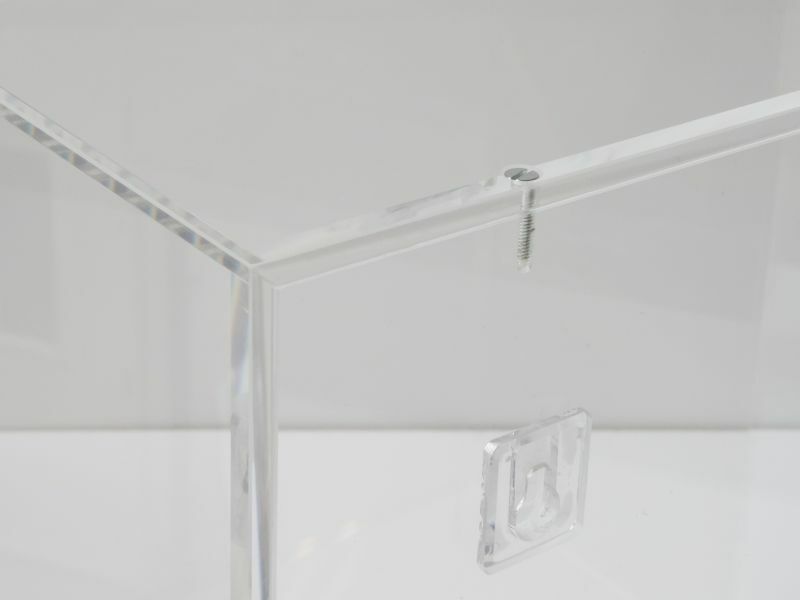 Due to the exceptional translucence of Perspex it is possible to bond several sheets together to achieve the required density, using our ‘invisible’ bonding process. 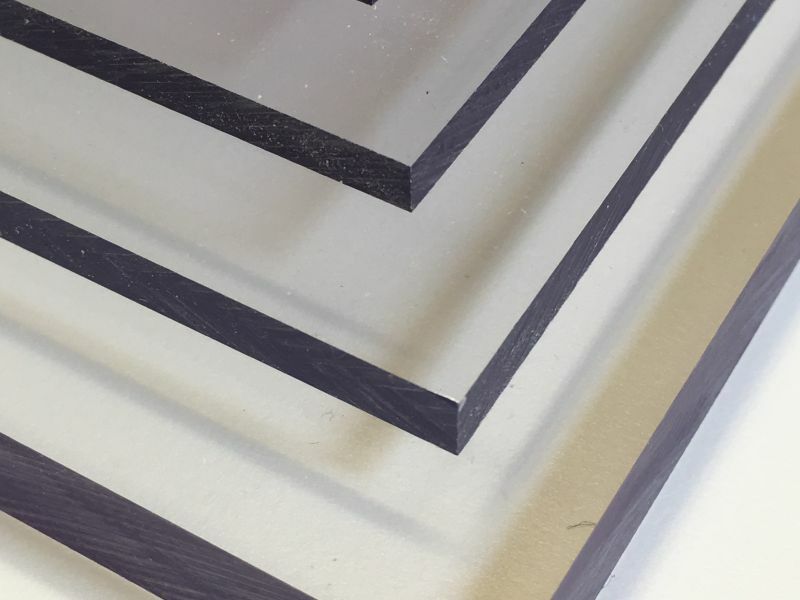 This process is also useful for creating layered effects, using different colours or thicknesses to achieve the desired result. 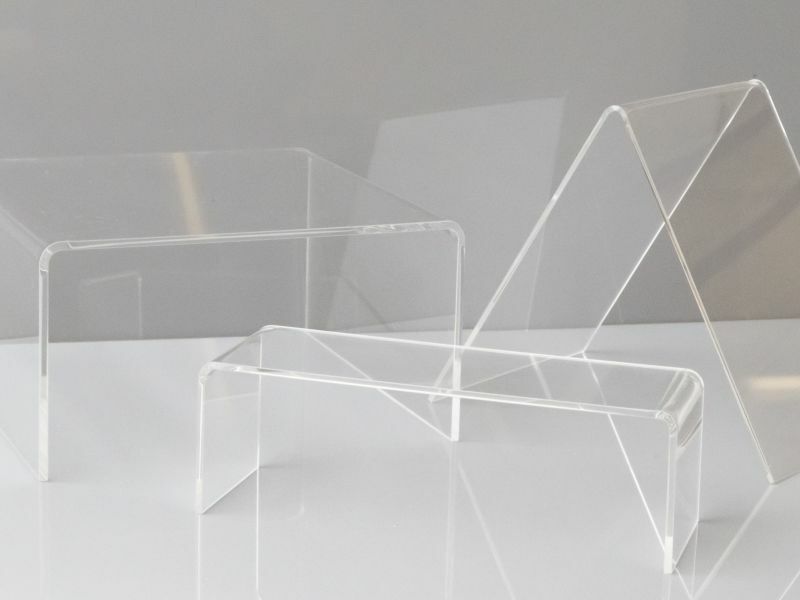 One of the benefits of Perspex is its malleability when heated. 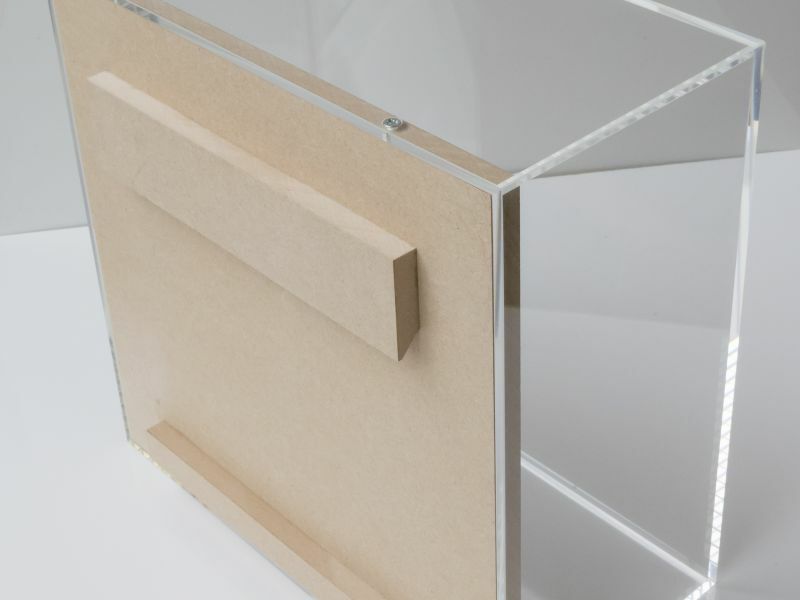 This allows us to create bends and angles whilst still retaining the translucent properties that make the material attractive. 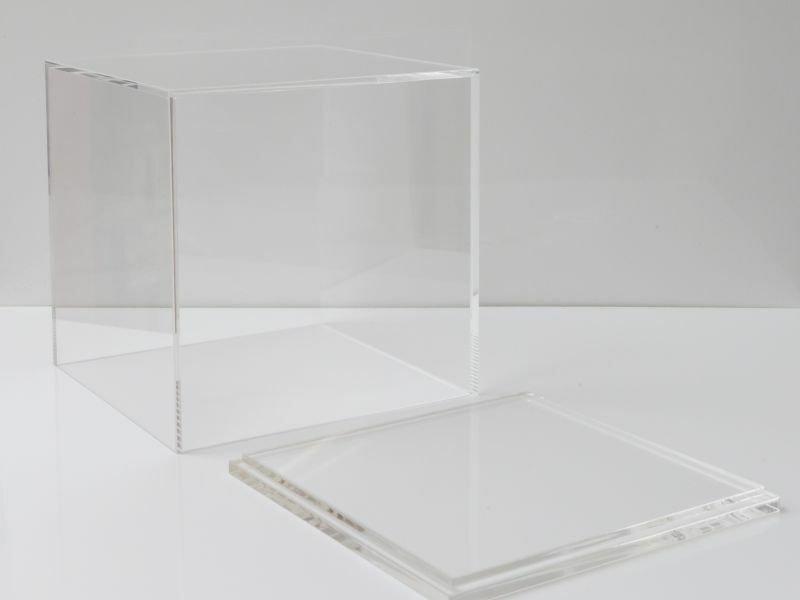 Common applications include display and hospitality uses. 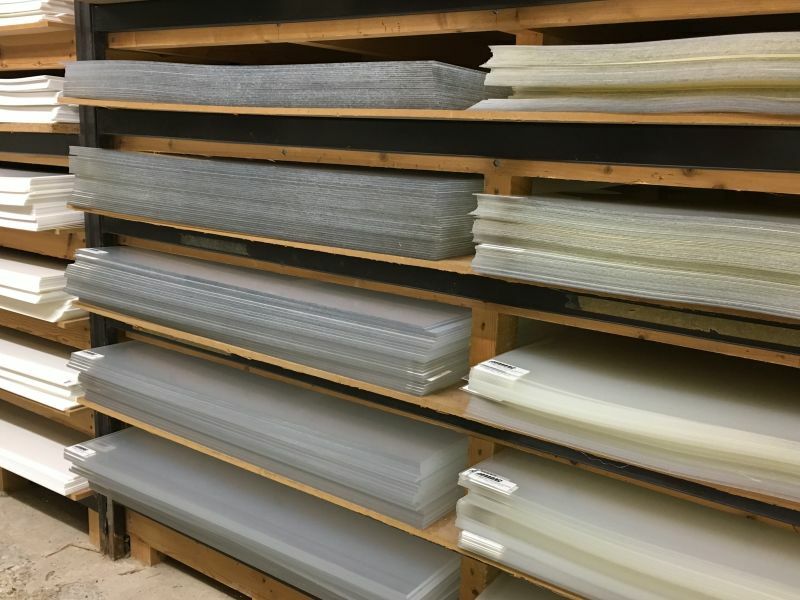 We are able to bend sheets of up to 2m to your specifications. 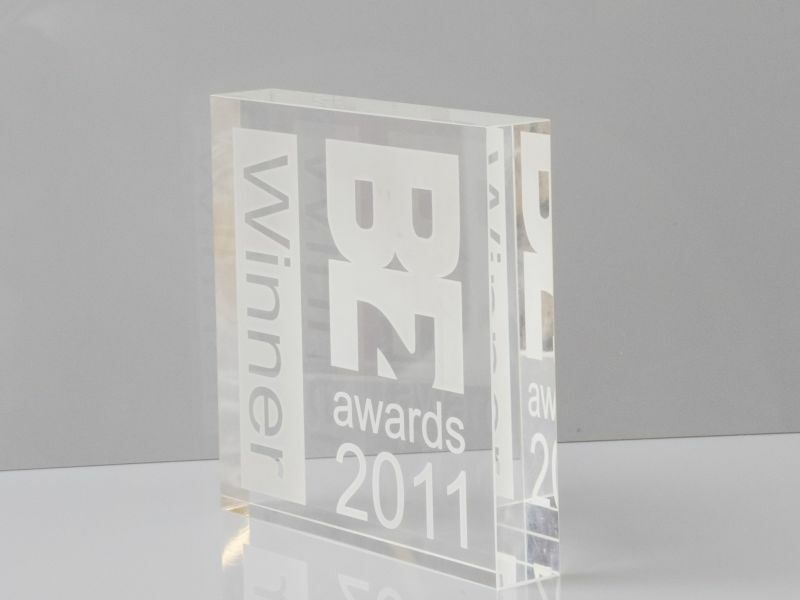 Perspex is the ideal material for sign making. 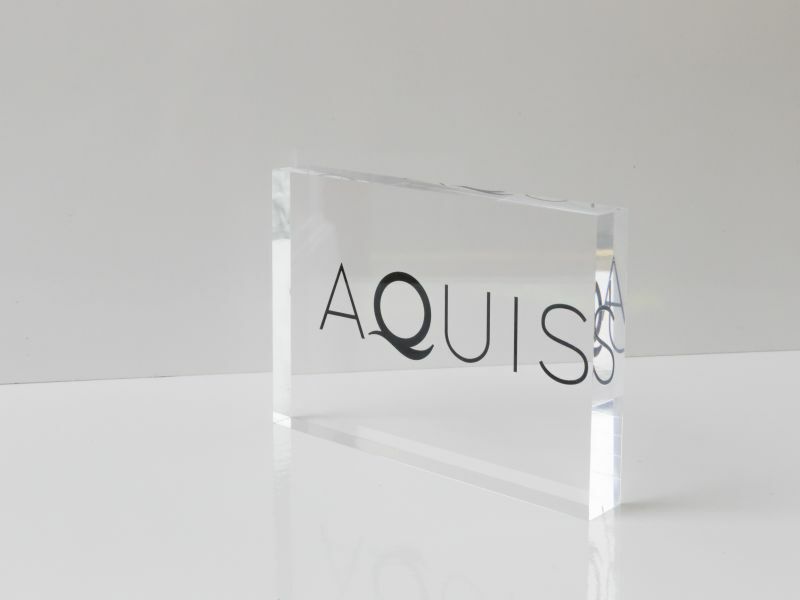 Whether engraved or raised lettering, we carry numerous colours and sizes, and can utilise several of our processes to reach the desired effect. 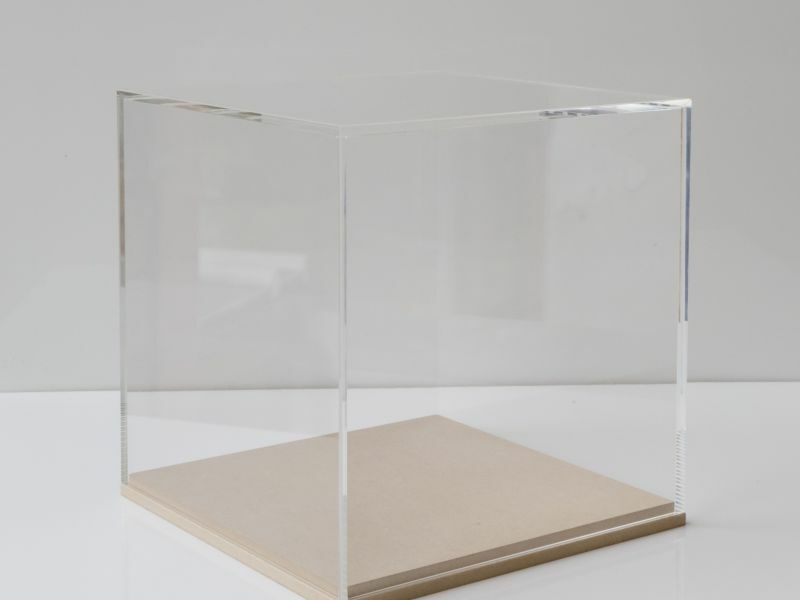 © Copyright 2019 Hamar Acrylic.